Thanks to Sukoshi for the quick translation! There's probably a ton of people that are gonna translate Eri's grad dvd too so I'll just keep this brief. -Eri talks about how Sayu's tv persona looks down on people, is poison tongued, and a narcissist but in reality she lacks a bit of self confidence and worries over if what she said was okay. 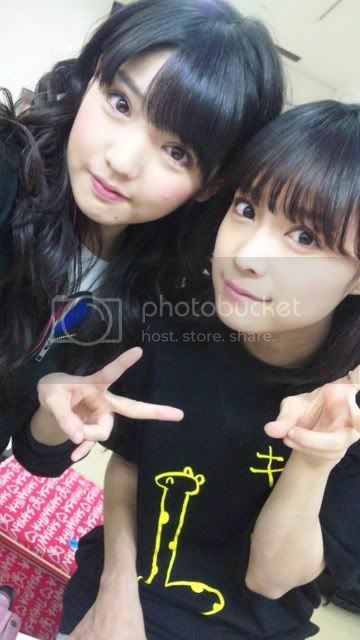 Sayu's really kind. She thinks really hard at what she wants to say. -Sayu mentions how they used to have an exchange dairy but that suddenly stopped. Thinks Eri probably lost it. -Normally it will be where Eri will sit, Sayu will go sit. 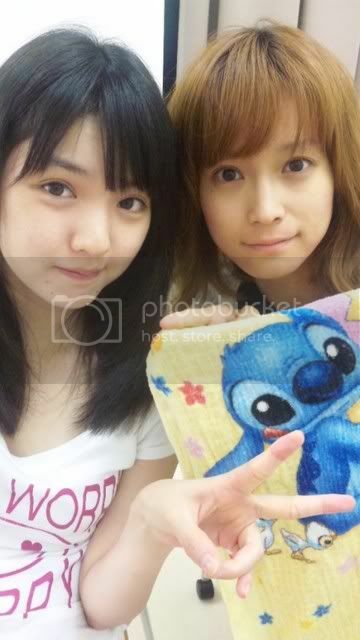 Where Eri goes, Sayu will follow. She realize she wouldn't be able to do that anymore. -Sayu said it wasn't preplanned. She was just gonna pop in for a sec but they gave her a mic. -Sayu wasn't called upon, she just wanted to go to Eri while in the car. Sayu shared a really sweet and emotional story on Konusapi last week. Thought I'll share it. In a recent interview, SayuEri mentioned about spending a night exchanging long mails. 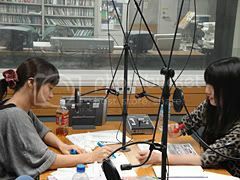 Sayu went into details and was really honest about her feelings on her radioshow to the point that she was crying. 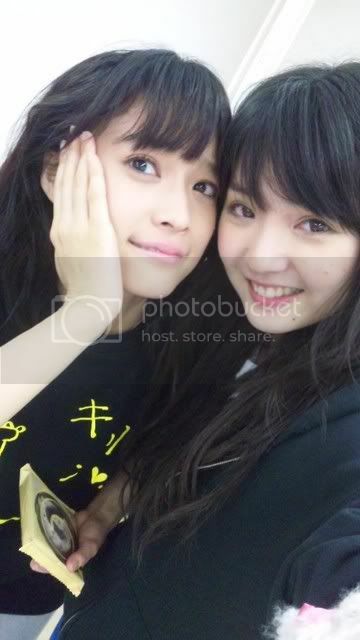 During the Seishun Collection period, Sayu's grandfather fell sick but she wasn't able to leave work and Sayu kept it to herself. 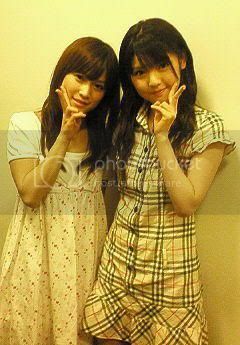 At that time it has only been a while since Sayu started her blog and she tried to maintain a balance between socialising with the members and blogging. Because of the encouraging comments and grabbing GREE's #1 spot, Sayu was obsessed with blogging just to keep the #1 spot even though she knows that isn't healthy. 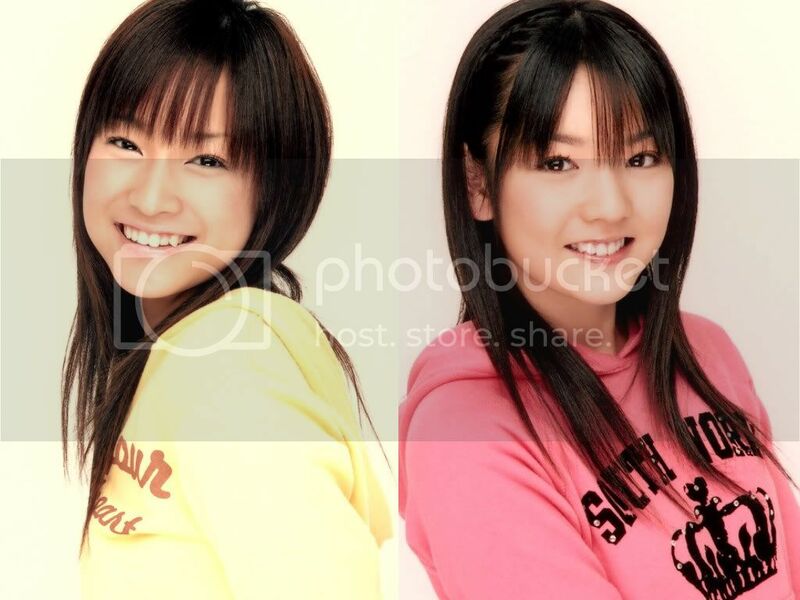 At that time, Reina got herself a blog too and had the #1 spot on Ameba. Sayu was happy for Reina but there was also a part of her that doesn't want to lose out to her fellow rokkie that only contributed to her obsession. Gradually most of the members got blogs and they had the #1 spot on Ameba at some point of time. When Sayu had #1 spot, she didn't get as much encouragement from people around her so she felt a little jealous when she saw how other members were getting all the comments. 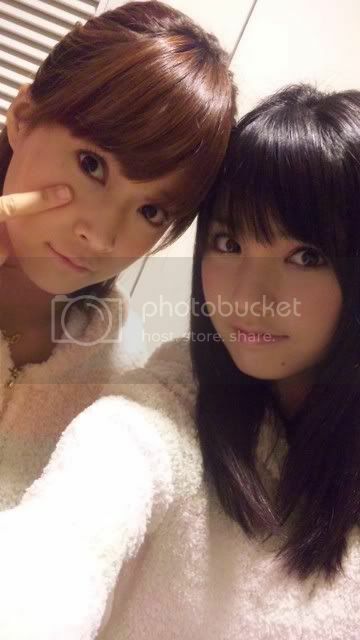 Sayu's non-stop blogging habit pretty much caused her to overlook Eri's feelings. 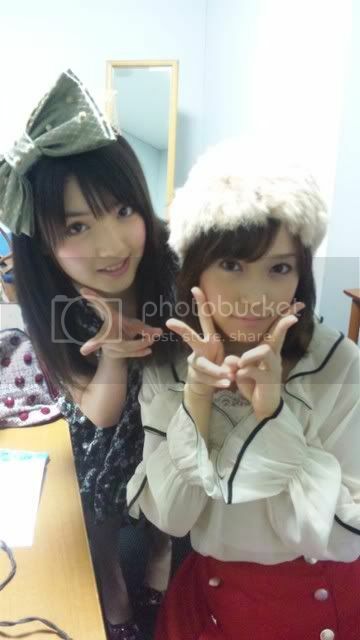 Eri tried to talk to Sayu but Sayu wouldn't really pay attention to Eri because she's busy blogging, again. In her mind, she thought Eri would understand and Sayu just kind of started to stop talking to Eri as much as they did in the past 8 years. Sayu then recalled when she was starting to go on variety shows, she would do anything the show may need her to do like being covered in lotion..which isn't common for idols to be treated that way. Whenever people ask her what else does she want to do, she'd say she wants to have a blog. 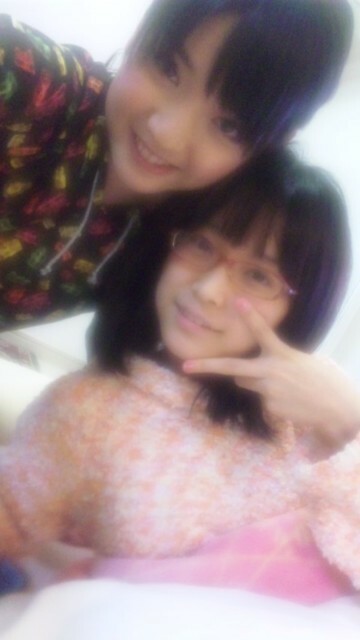 (If there's anyone who wanted a blog most badly, I'd have to say its Sayu. She has been asking for one since 2007) She wanted an outlet for her to express herself and show everyone the real her (Her TV acid-tongue is just a character. 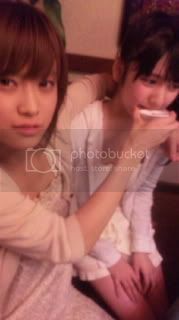 Sayu is already crying pretty hard by now.) She finally got the blog she has been asking for. At that point, she knew that if one works hard for what she wants, she will be able to get it then BAM! Reina, Gaki-san, JJ, LL and Aichan got themselves a blog each too. 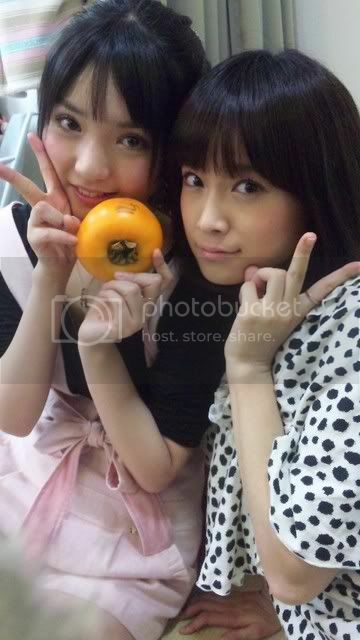 Sayu obviously didn't feel good about it (She has every reason to.). Upon realising she phrased it as though the other members were feeding off her hardwork, the kind Sayu quickly added in good words for the other members saying that they did ask for blogs again and again too. The fact that the rest of the girls got way more congrats messages for grabbing the #1 spot on their respective host sites made Sayu really jealous (She is aware that she should be happy for them and not act like an idiot). Apart from this whole blogging stuff, she had her grandfather to worry about (FYI, Sayu is very close to her grandparents. Her grandfather is like her biggest fan.) She didn't tell anyone about what was happening in her mind and the pressure just kind of added on. 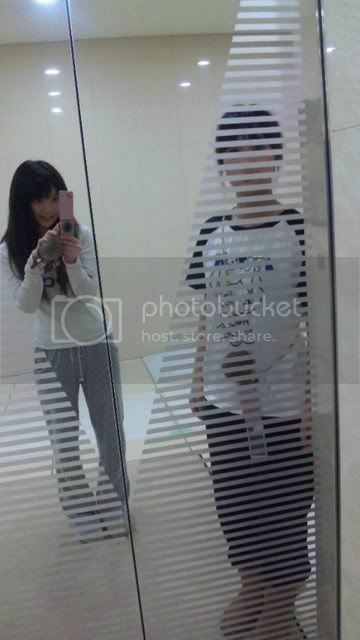 Even though all the problems started with the blog, when she went home, she continued blogging (._.) Sayu then received a long touching mail from Eri (She didn't share the details) which opened her up to share her problems with Eri. She then realised she should have told Eri everything right from the start because Eri would have tried her best to make Sayu feel better and give her good advice. 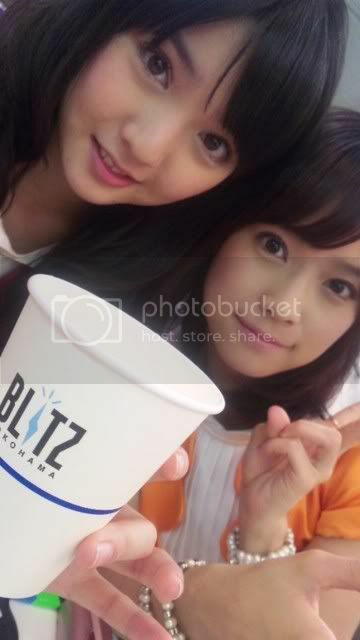 After Sayu told Eri about the blog troubles, Eri told her "Sayu ga suki na hito wa, chanto mitekureteru yo" (If you know Japanese, understand it in the Jap way. My translation will only destroy the meaningfulness of this message. "Those people who like you will be reading" She's trying to tell Sayu that she doesn't have to fight to be the first. Her fans will still be reading even if she wasn't the first.) Sayu gets really emotional talking about how Eri made her realise all the jealousy was unnecessary. She started off the blog with the intention of expressing herself but she ended up being competitive. Even though Sayu did not tell anyone about it, Eri's natural SayuEri-love instinct kicked in and Eri was very understanding and nice to her. Sayu stopped the 11.5minutes long topic with "No, she's gonna graduate...I really don't want her to..."
Well, both of them have always been there for one another and I'm really glad that Sayu shared the story on her show. Amped posted this video in the Onna to Otoko no Lullaby Game single thread, and there was an hilarious Eri part in this video that I had to share! Since the 3 members are graduating, the show will focus on them. The first part is where the other 5 members reveal secrets of the other 3. Eri's secret is submitted by none other than Sayu! And the secret? Eri hung up her underwear on the towel racks in the hotel! Embarrassed, Eri whacks Sayu on the head and they all have a riot at Eri's expense. 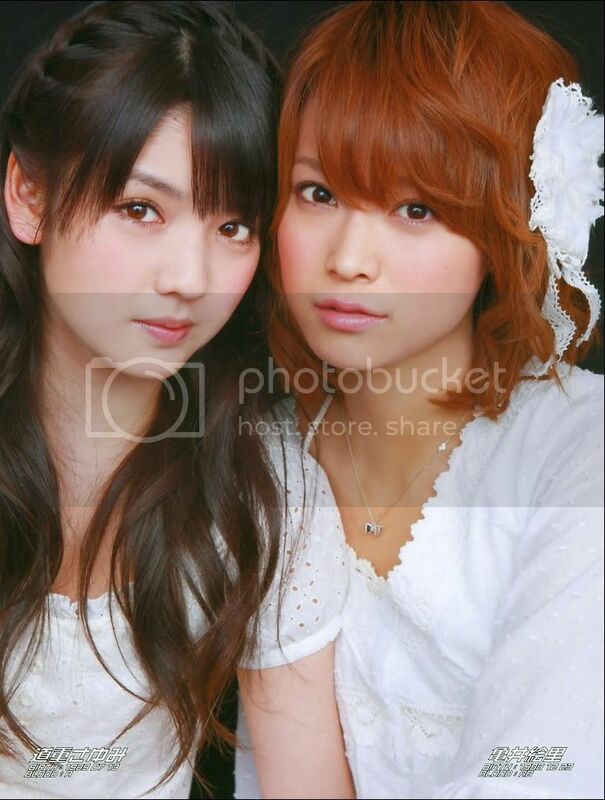 But Sayu said the manager OKed it and goes on to explain that during their stay in Okinawa for work (for the 6th gen pb, no doubt), she and Eri decided to take a bath together (!!!). The mood was like "this feels so good, let's do our best tomorrow too." Sayu gets out of the bath first and suddenly sees underwear dangling where the towels would normally be! In the end, Eri says she put it away properly and promises she won't hang them out anywhere anymore. I think it's time for a fanfic! Ahhh those last two post!! It made me so happy! I went into fangirl mode! 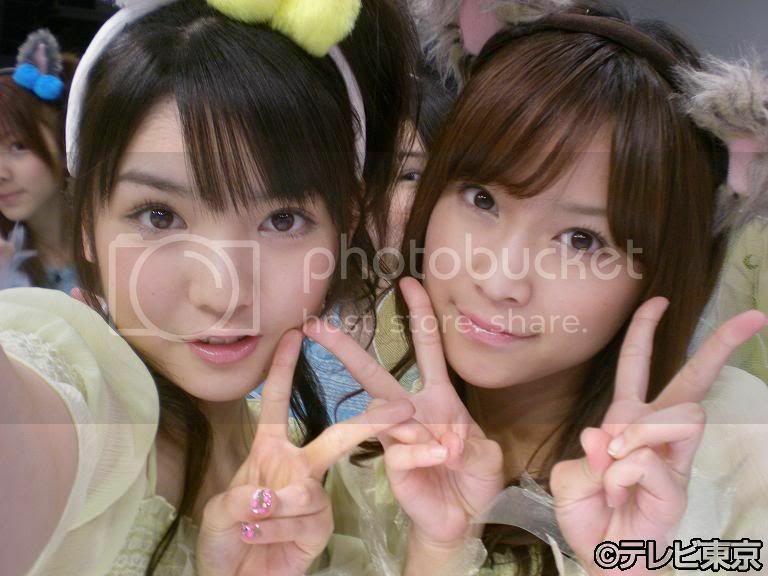 KameShige are just so damn cute!! Beecubed, don't look at me to mention that into a fic!! But...I'll see what I can do. lol Who knows I just might get some inspiration. I didn't realize this until just now. Aren't those two adorable in the background? Uwah~ How many years has it been since I wrote a letter to Eri? so I just casually agreed but what to write, I honestly have no idea. What should I do? Well I guess I’ll just end the letter then. Instead I’ll write about what parts of you I like. Your face (especially your mouth and nose). Your silky hair. Your thighs. Your voice. The way you act like a baby. The way you sing. The way you dance. The way you laugh. The way you cry. How you’re always sleepy. How you can laugh randomly out of nowhere. How you seem like such an idiot. Such a silly person and so random. Yet you can be very serious at the same time. How you think too much about things. How strongly you hold your opinions. How you share them. How you don’t give in with them. How you’re more attentive than anyone else i know. How you’re more kind than anyone else I know. How you’re always together with me. How you always call me “Sayu”. How you’re such a good friend to me. These are just some of the parts I love about you. I’ll just say this now. When you said you were graduating from Morning Musume, to be honest it never really hit me. so I ended up just say “Oh, I see…” I’m really sorry about that. But it wasn’t only those times, I have done that a lot to you up til now, I’m so sorry. to give me your best input and advice, but I was never able to do the same for you. when I heard it, I don’t know why but I was just so touched by it. It made me just want to hold you. That’s funny huh. Even now I still listen to you singing it on my iPod (lol). That song was so good, I hope you can sing it at graduation. Ah Eri, you’ve done so many silly things up til now haven’t you. I’ve enjoyed all the stupid things you’ve done. went to a purikura, it sounds kinda stupid now, but I had so much fun. you can just feel this weird gap, we’re so cute aren’t we. Even after you’ve graduated, we should still go out. Soon too. Actually, you know what, let’s go out on the day of graduation, just like that. how you can just fill up a room by just being you is really amazing. and of course as SayuEri, let’s keep working hard til the end. After you graduate, let’s continue to hang out as best friends. Wow how many years has it been since I wrote a letter? Saying 8 years probably wouldn’t be an overstatement. I guess I’ll just write something and we’ll see how it goes. Sayu is… just someone I really connect with? Someone I can really talk with? And just someone I’m always together with? It’s a really strange thing. Whenever I’m with you, it just calms me down and relaxes me. But before I know it, we’re always laughing and having a good time. Thanks. It makes me so happy to have a friend like you. but from the bottom of my heart, it’s really I who has been relying on you. I know that you just completely understand me and that’s so reassuring to know. That’s why when I was telling you “I’m graduating”, I wasn’t nervous at all, I wasn’t scared either. I think it’s created the “us” we have now and I’m incredibly happy to have that. It feels like there could be a song about it or something. Haha. I hope we keep on going. I hope we keep on talking, playing, and just having fun together. I wonder if this letter is too long? short? Ah, remember before when I said we should go on a trip together, let’s go do that. Well, til my next letter to you. I'm going to miss them once Eri is gone! T_____T Eri~!! That letter was so cute, they really are close and care for each other very much and that's what I like about them. Sayu's letter was the cutest and really long O.O Then when I saw Eri's I laughed at the length of it, but at the same time I enjoyed it too and found it so cute as well. 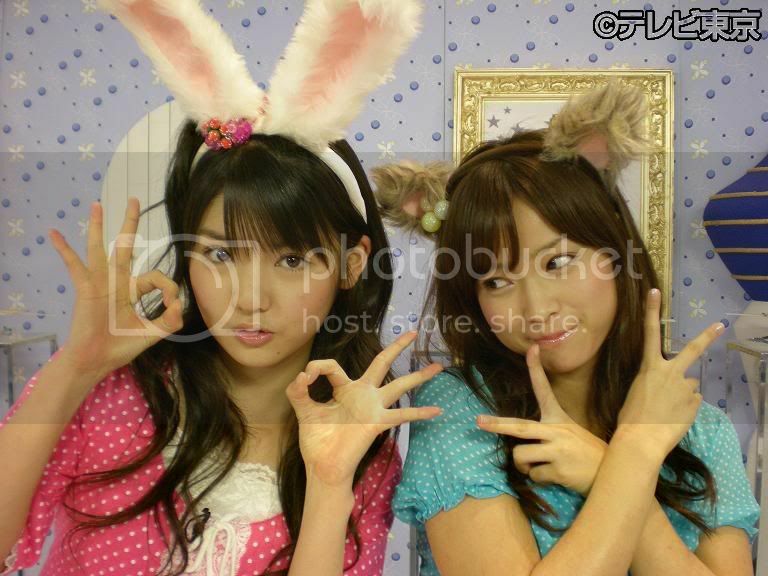 I really hope they continue to hang out even when Eri leaves Morning Musume. They're holding hands so cute~!!! ^ Those pictures are making me cry again. 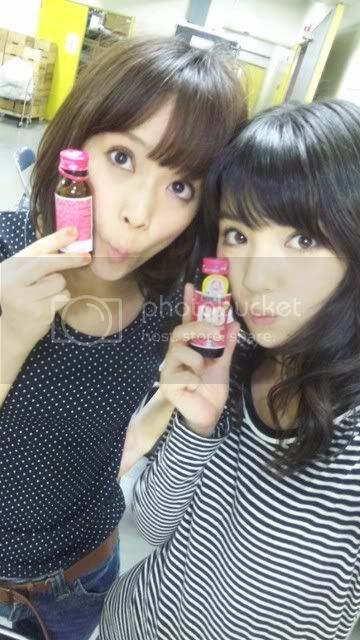 KameShige Seems like Sayu has been spamming her blog with Eri since yesterday. So great that she could be in history books, I think. She's so kind that even her juniors adore her!!! Probably, they can do that only to Eririn. Because Eri is Eri, that's what she is. Being able to be by Eri's side is Sayumi's life's fortune. 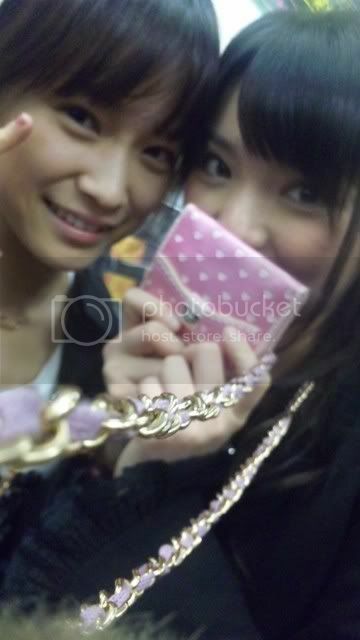 Moreover, with her graduation, she even worries about Sayumi. It's not good for me to worry her, so I'll do my best. Eri's uncompromising, direct personality, her foolishness mixed with unusual kindness - I love all of it. When I saw Eri gradually tearing up, I really wanted to express my thoughts, but I couldn't say anything sensible. I'm sorry. Ah, as expected, it's unbearable. 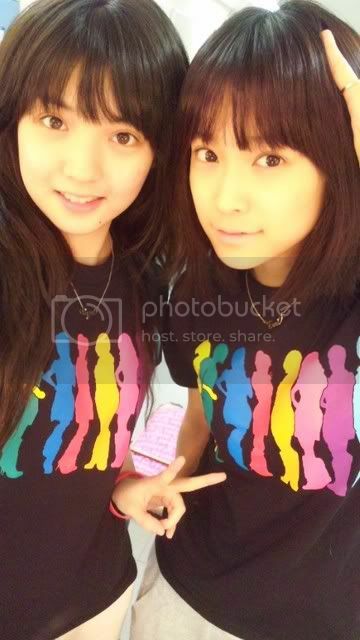 Sayumi, too, will greatly support Eri! ^ Awwwwwwwwww, why so adorable KameShige? Why? 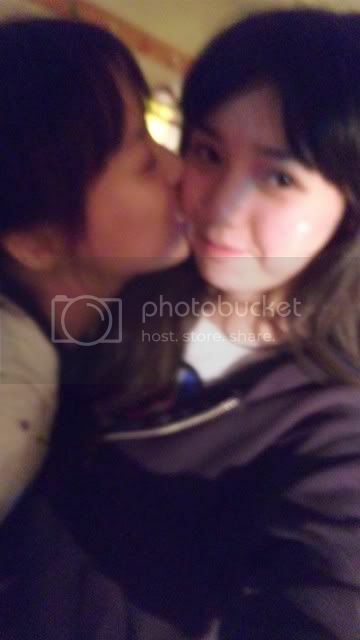 They didn't translate it but Sayu said "I was lonely too~"
cutiee pic from sayu's blog..
Ah so Cute!!! And Eri with glasses?! Eri~!! Thanks for posting this pic. 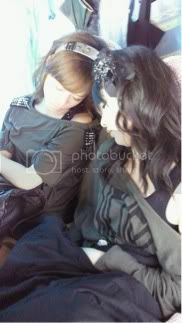 Today I was looking through an old folder and I found this cute picture. I don't know where it's from though I had this about two years ago in my folder. Where is this one from? A concert?Which one? And why I didn't notice it in that case? ?